Designing custom wine cellars Los Angeles poses a lot of challenges. Wine lovers who want to have a wine cellar that stands out among the rest must come up with a unique concept. This also poses a great challenge to wine cellar builders. One of the aspects considered in wine cellar construction is the wine cellar flooring design. Wine cellar flooring gives wine cellars a certain appeal that blends with the entire look and ambiance of the wine room. 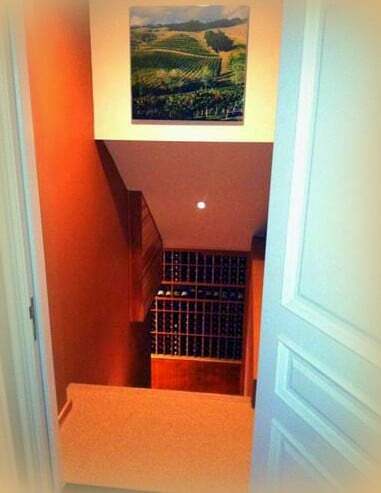 There are a lot of wine cellar flooring design concepts to choose from. Many of the wine cellar builders today offer different kinds of materials for wine cellar flooring construction, to allow their clients to choose what suits their taste. The good news is that we came across a promising product that proposes distinctiveness and stylishness to custom wine cellars Los Angeles, and these are Nautical Antique Timbers. Nautical timbers are environmentally friendly materials produced from the clear-cutting of forests during the construction of deep water ports; they were utilized to build ballast and cribbage for big ships that explored the world from the period of 1940’s through the 1970’s. The timbers were then gathered for firewood and stacked in a yard at the Los Angeles Port. Nautical Timbers hardwood flooring is the ‘in’ thing for custom wine cellars. Nautical Timbers hardwood flooring was actually recognized as the New Product of the Year by This Old House Magazine. Originating in Asia, Africa and South America, nautical timbers are composed of more than 70 identified wood species with many still unidentified. This material is a unique find because of the characteristic range of color and width. The natural patina and character of the timbers that developed over the years were preserved by re-sawing; the dimensional stability of the material was enhanced through Baltic Birch backing. These features mentioned make Nautical Antique Timbers ideal for building custom wine cellar flooring for wine storage rooms. Coastal Custom Wine Cellars offers this product already pre-finished and ready for installation with tongue and groove construction included. The widths range from 1 1/4 inch to 2 3/4 inches and the lengths from 2 feet to 5 feet with a thickness of 5/8 inch. 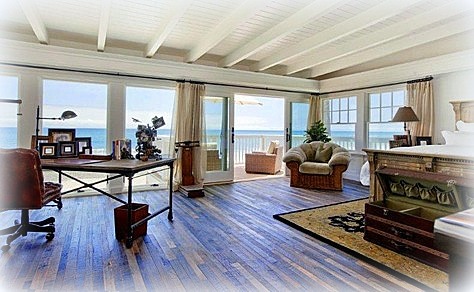 Take a look at this photo where nautical timbers were used for the flooring of a room. The color variations make the flooring look truly unique. 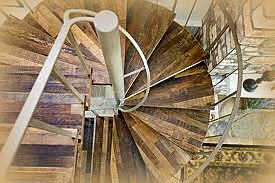 Another photo here shows a spiral staircase made of nautical timbers. The visible variety in color and wood patterns are very catchy. We are pretty sure that a wine cellar with custom wine cellar flooring made of nautical timbers will look just as stunning and express a touch of historical detail. 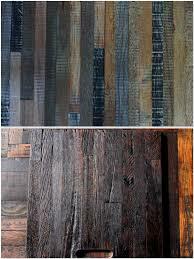 So if you have a wine cellar project on the way or just want to start a wine cellar flooring installation, you may want to consider using Nautical Antique Timbers. However, the availability of this reclaimed wood product is limited. 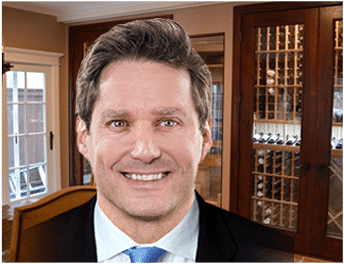 If you have inquiries about Nautical Antique Timbers or want to get a free 3D wine cellar design from Coastal Custom Wine Cellars Los Angeles, just visit www.winecellarsbycoastal.com or call +1 (888) 735-8889 toll free.